The way you dress can help determine who well you play. When you suit up for a game of golf, do you take time to choose the right pants or do you just throw anything on? We’re going to show you why the best golf pants are worth buying and then show you how to shop for them. We’ll even showcase a few of the best picks for this golf equipment category. Now, we want to show you a few of the very best golf pants available. You can decide for yourself if one of them is right for you. 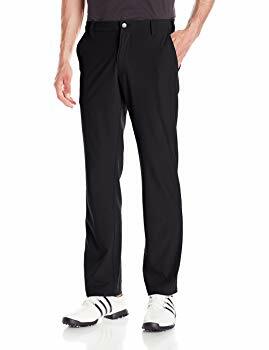 These can be some of the cheapest quality golf pants you find or one of the most expensive, depending on the options you go with and the type of pants you select that fall under adidas’ Ultimate golf pant line. 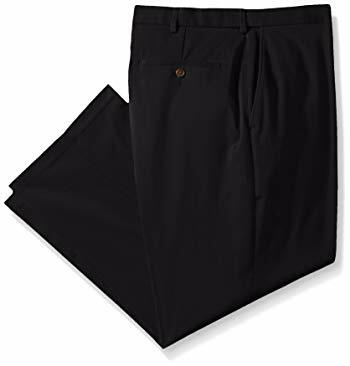 These mostly polyester pants have some decent stretchiness to them that feels very comfortable and breathable. The moisture wicking can keep the sweat from building up and ensure that your pants don’t chafe or feel unpleasant after playing for a long time. Can become rather expensive with certain options. These retail for around $40, and they offer a comfortable fit with some different sizing options. The waistband stretches for greater comfort and to adapt to potentially changing waistlines. The fabric- a polyester, nylon and elastane mix- is very comfortable and soft. The material is designed to dry quickly and wick well to cut down on sweaty buildup. These Under Armour pants are made with a loose fit, so if you want a different fit, you’ll have to select something else. This is only available through Amazon, and it is made to dry and wick very fast to cut down on chafing and discomfort. It’s also a great value, being sold at a reasonable price and is made from decent quality materials. The pants are manufactured using polyester, which allows them to be very lightweight and breathable. The single fit option gives you a pair of pants that is somewhere between loose and straight fit. The one deal breaker for most people with these pants will the wide bottoms, which can flap and feel too loose. They offer some great airflow, but the extra loose fit near the bottom may not seem stylish to you or may be uncomfortable. Very comfortable waistline and wicking features. This is another completely polyester option that is priced a bit higher but offers some extra features. The expandable waist gives you superior comfort. The expandable components are not noticeable and are made to be easy to adjust and fit you perfectly, even if your waist size changes. These pants are made to be worn without the need for ironing and easily machine washed without harming the pants. The high waist style may not be to everyone’s liking, but for what they offer, they are very affordable. Very easy to clean and needs almost no ironing. High waist is not going to be everyone’s cup of tea. The pricing on these varies greatly depending on what features and fit you want. 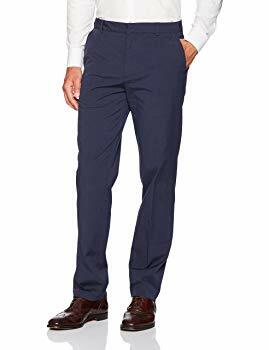 They can become quite expensive, if you want certain things from your pants, but if you are okay with the basics, you still get a decent quality pair of pants at a good price. These offer a decent stretch that makes them comfortable to wear for long periods of time. The materials and construction are designed to be wrinkle resistant. You may almost never need to iron them. Expect these to last you for a long time and prove their value over and over. Lots of different options to pick from. You shouldn’t wear just any pants to play golf in. There are pants made specially for golf, and Golf Info Guide says these offer greater freedom of movement. That added mobility means greater comfort and fewer distractions out on the course. You need to be focused and enjoying yourself to do well, and golf pants play an important part in that. They may have little to do with how far you hit the ball and how straight the balls flies, but they do factor in to how you feel while you play and how comfortable it is to play for long periods of time. You can end up playing a single game of golf for hours, you’ll want to be comfortable in the pants you are wearing during that time. The right pair of pants makes a difference, and any little bit of help you can get will make an impact on the game. If you are getting frustrated as you play and you feel miserable after hours of play, you should be looking at your apparel and see if it needs to change. Use this guide to help you figure out if you are wearing the right kind of pants and what kind of pants you should be getting. Buy for Your Body Type– You want a pair of pants that fits you well. There may be more than just waist size and leg length to consider. The Golf Society advises you to look into different fits, such as slim fits, regular fits and a combination of the two. These give you different fits around the legs, meeting the specifications of your body type and providing greater comfort. Materials– What are the golf pants made out of? Is it high quality material that will last? Is it something that will annoy you as you are walking across the course and wearing it for hours? Will it keep you cool enough or warm enough? You have to ask yourself these questions before you buy it, because you don’t want to regret your choice when you are only a few holes into a 12-hole game. Breathability– The material helps to determine breathability, but so does the thickness and the design. If there is enough airflow through the legs and enough space around the groin, then you won’t feel as sweaty as you would with something that’s more restrictive. If you can’t hold the pants in person and try them on for yourself because you are buying online, then read some customer reviews and find out what other people have to say about their breathability. Length– What is the right length for golf pants? The experts at Golf Digest say the bottom of the pants should touch the top of your shoes. That makes for comfortable walking where the pants don’t catch on the shoes, but it also means that your pants are not so short that your ankles or legs are exposed. This looks stylish and classy and feel comfortable. 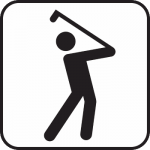 Buying Non-Golf Pants– The best kind of equipment to play golf with is golf equipment. 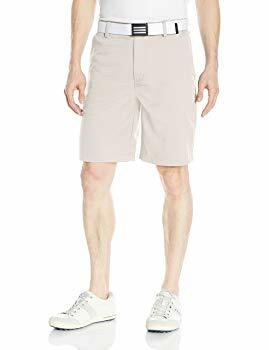 That extends to your clothing as well, and the reason the golf clothing industry exists is because there is a need for apparel specifically designed for golfers. There are advantages to this type of clothing that regular slacks and khakis won’t provide you with. Yes, you could play golf fairly comfortably in conventional clothes, but you would be missing on out some potential benefits. 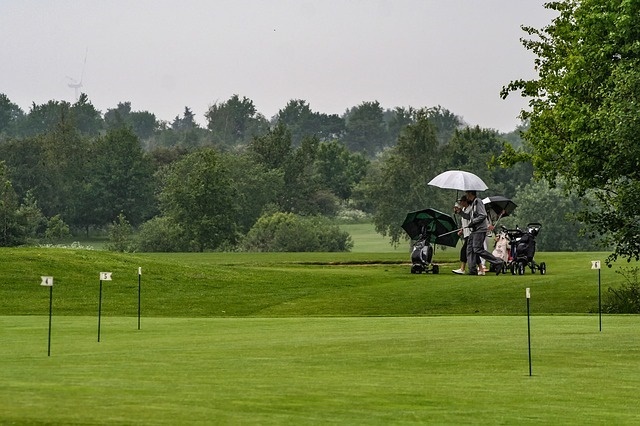 If you want the best chance at getting a good par for your course, then you should be using the best equipment and wearing the most suitable apparel. Mismatched Clothes- Your shirt, shoes and pants should all go together and the colors should complement one another, says Golf Monthly. Matching your style may not seem like a big deal, but it can make you feel better about yourself and more confident and help you to play a stronger game. You might not think it matters to you how you look out on the course, but when you start to hear snide comments from fellow golfers about your outfit, it may begin to become a problem that you wish you corrected at the start. Not Minding Your Budget– You could splurge and go all out buy purchasing pants made from technical fabrics, but the benefits would likely be minimal, and you may end up not having enough money left to buy other golf equipment that is more important. 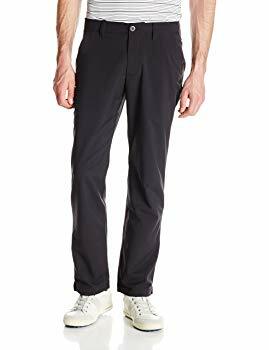 You can get a decent pair of golfing pants for a good price, and you need to factor in your budget when you are shopping. You want to have enough money left over for the other golfing essentials. Ignoring Features- There are certain features that make some sporting apparel better than others. You may gloss over factors like wicking and stretchiness in the clothes you are looking at, but these are important factors. You should consider how comfortable these seemingly insignificant features will be. Know what your weaknesses are when you play, such as becoming overly sweaty and itchy or feeling like your clothes are too tight after long play sessions. Features like these can help with problems like that. You’ve seen our choices for the best golf pants and read our guide on how to find some for yourself, so you should be fully equipped to make the right decision. 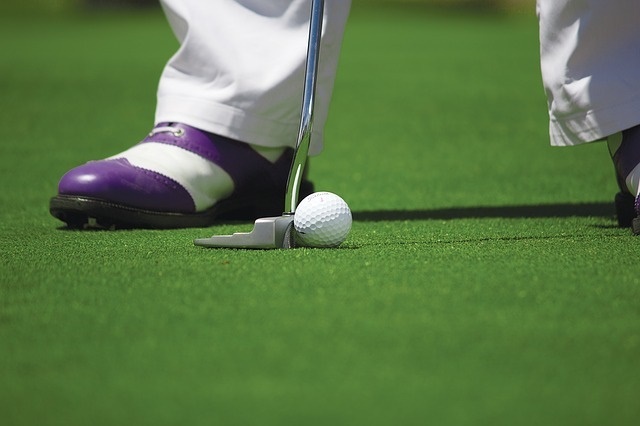 You want to be comfortable when you are out there in the hot sun trying to keep your par down, and wearing the right golf pants makes a difference. Hopefully, you can find a pair that works well for you.